Is The 'Recut' Ip Man Movie Better or Worse? In the U.S. version of The Grandmaster (the latest movie about Ip Man) they cut the movie from 130 minutes (original Chinese version) down to 108 minutes for the U.S. market. Did they do it justice or chop it to pieces? I was expecting to be disappointed, but instead I was pleasantly surprised! 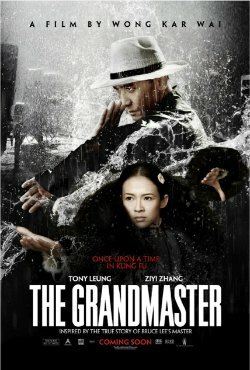 If you read my review of the Chinese version of The Grandmaster, you know I didn't hold back any punches. I felt let down. But the U.S. version seemed to fix everything I felt was wrong about the original Chinese cut. Will You Enjoy it and Should You Watch it? You'll enjoy it, whether or not you're a martial arts movie fan, kung fu artist, or Wing Chun fighter. A friend, who does not practice Wing Chun or any martial arts, but who also watched the Chinese and U.S. versions, also liked the American cut a lot more! Plus, this movie is so good you can take a date to it. Really. What's this Ip Man Movie About? [No spoilers] This movie is 'inspired' by Ip Man's life. There's a love story, which probably didn't happen in real life. But all the major events taking place around him did occur: a Japanese invasion, losing his family fortune, getting challenged to fight and prove his martial arts skill, moving to Hong Kong, starting a Wing Chun school to make money. Tip: When you go see this film, make sure to wait after the ending credits start... there's a secret little bit of extra movie added where Ip Man kicks everyone's behind. The overall story is the kung fu master from the North is retiring. He visits the South to say his good-byes and hand over the grandmaster-ship to his chosen heir. This leads directly to Ip Man meeting and touching hands with dozens of kung fu masters from all kinds of styles from all over China. Tai chi, Ba ji, Xing Yi, Bagua, Hung Gar, and more. It's so much fun! Because of all these kung fu bad asses, the original English translation for the movie was 'The Grandmaster-s' (with an s, for plural). What happened was director Wong Kar Wai spent about 8 years researching and preparing for this movie. In the process, he interviewed dozens of kung fu masters and fell in love with kung fu. He wanted this movie to demonstrate all the different kinds of kung fu. And it does it very well! For the U.S. version they really drilled down on the probably fictional love story, while bringing in all the other elements: various kung fu grandmasters, Japanese invasion, moving to Hong Kong, starting a Wing Chun school, etc. They cut the original film from 130 minutes to 108 minutes. However, what's interesting is besides taking out what's not needed, they added new footage to tell the story better. Plus, they reorganized the whole concept of one of the characters - Razor - which was a real pet-peeve of mine in the Chinese version. But don't worry if you haven't seen the original version. I just mention this in case you read my previous review. You won't be able to tell any of this on your own. You'll just have a great time. This may be a stretch... but this movie could be the next "Crouching Tiger, Hidden Dragon", which won four Academy Awards in 2001. In fact, two of the stars from 'Crouching Tiger', Zhang Ziyi and Chen Chang are also in The Grandmaster. I'm NOT predicting that it will win an Oscar, but it is at that level. Kung Fu Movie Trivia: The Weinstein Co. (the company that bought the U.S. rights to The Grandmaster) is making the sequel to Crouching Tiger, Hidden Dragon, and they're planning on remaking a number of old Shaw Brothers kung fu movie classics! This movie appeals to many different people, at different levels, for different reasons. Go see it and tell us what you think below.